Why Should You Hire an Insurance Lawyer? Insurance law can be overwhelming and complicated, especially if you haven’t been in a situation concerning an insurance claim or lawsuit before. If you are interested in hiring a lawyer or looking for sound legal advice, we are pleased to be your advocate in navigating you through this difficult time.There are numerous benefits to hiring a lawyer. Take a look below at just a few are examples of why you should hire an insurance lawyer. We understand that having any type of legal case can be stressful, especially if you haven’t experienced this type of situation before. An attorney will help you achieve your goals by seeking justice in a fair, civil way. One of the best reasons to hire a lawyer, among many others, is that their services are a huge support to you. A knowledgeable and experienced lawyer will help guide you, advise you, and much more, so that your burden can be lifted off your back. If you are ready to speak with a professional about what you can do in your insurance claim, having a free consultation is very helpful. 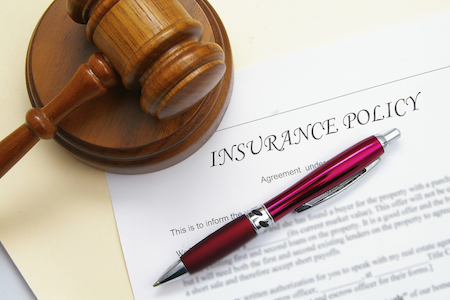 You can gain some insight into your case and how an insurance attorney can assist you. This is important, especially if you are not sure what to expect. The more you understand how an attorney can help you, the more comfortable and confident you will feel about the situation. When you are going up against a large insurance company or other big entity, you will need a lawyer who is knowledgeable of the law. When you have a lawyer by your side, you will have someone who knows how to negotiate and be your advocate. Because your attorney has the right to file suit and sue if necessary, this can help your case. Litigation can be an overwhelming process. If you want to make sure that you get what you deserve, having a professional attorney by your side to represent you will be highly beneficial. Whenever a case requires litigation, having a lawyer is crucial. Dealing with insurance carriers whether it is your employer’s workers’ compensation insurance, or retirement insurance or otherwise, you may find that they each are different. Because each insurance agency is different you will want to make sure that your attorney has a good deal of experience in this area. If your claim hasn’t been processed, or your insurance hasn’t paid the full value, then you will need a lawyer to act on your behalf. Whether you have been injured at work or are seeking retirement and employee benefits, it’s never too early to hire an insurance lawyer. It’s recommended that you speak with a lawyer right after you are unable to work because they can assist you through the process and show you the correct way to proceed. Professional guidance from an experienced lawyer will ease you through each of the many steps in the process. We hope you find a smooth and efficient solution to your insurance claim or other insurance situation. If you are ready to take action and get the compensation you deserve, an insurance attorney is highly beneficial.